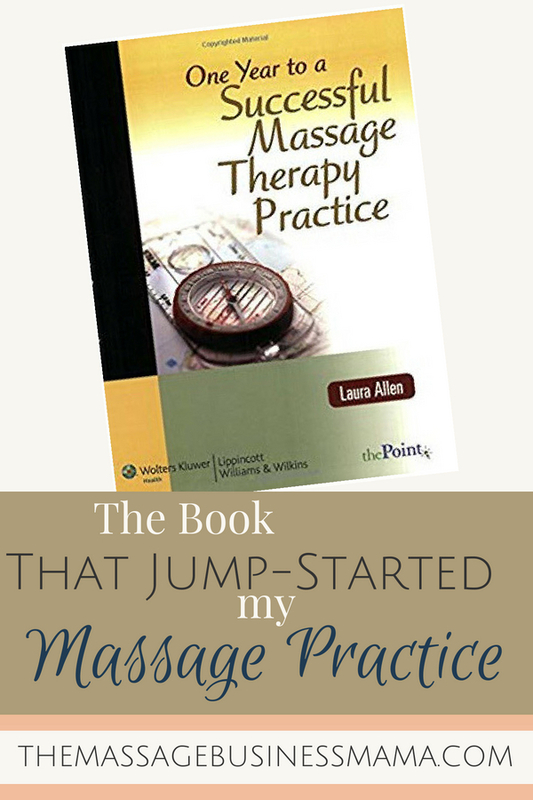 In this Post: Jump-Start your massage practice with this amazing book. 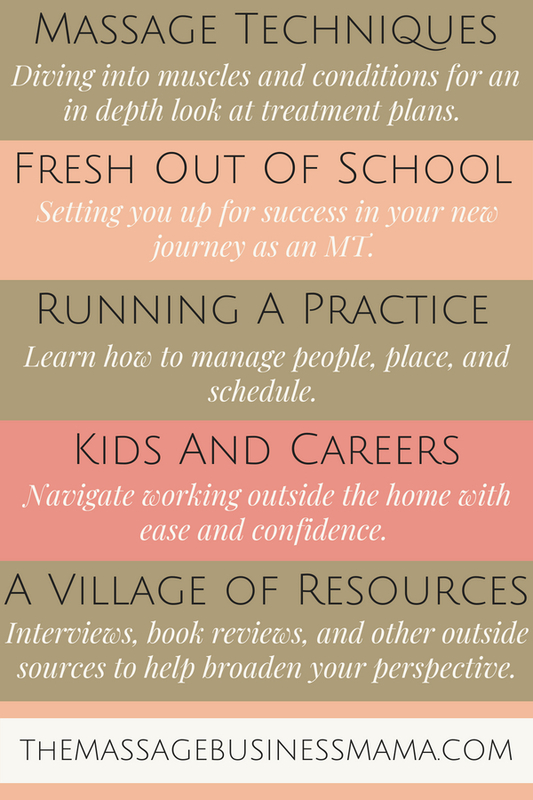 “One Year to a Successful Massage Therapy Practice” is an incredible resource for massage therapists in the beginning stages of their career. I first picked up this amazing book in 2009. At the time I was working as a massage therapist at a local hot springs while I built my private practice. My practice was small. I was only getting a few calls a week. Every time I booked an appointment I would get so excited, I would immediately turn around to call my mom and tell her the good news. At the hot springs, we were required to hang out whether or not we had massages scheduled. During those hours I poured myself into brainstorming ideas for building my own practice. Allen’s book gave a great framework for building realistic, attainable goals. Laura breaks up the book into 52 different chapters, one chapter for each week of the year. With titles like “Defining Your Goals,” “Bartering for Advertising,” and “Get a Grant for Doing Massage,” she covers it all. It was because of her book that I began my weekly email newsletter which has been instrumental in building my practice over the years. Each chapter is broken down into three sections. First she gives the framework for a business building idea. Second she relays a story from a therapist who has successfully implemented said idea. Third she has a journal section for you to fill out. It contains various questions to prompt you into action around said idea. She even has a space where you can come back in a year and report your progress. Now I’ll be honest, I did not complete all 52 suggestions. Some of the ideas just didn’t seem to fit with the direction I wanted to take my practice. But that doesn’t mean I didn’t get anything from these sections. Going through 52 innovative concepts has a serious way of jump-starting the creative juices. Like maybe adopting a highway (one of Allen’s ideas) doesn’t really seem like a great way for you to promote your business, but sponsoring a pet at your local shelter does (new idea you may not have thought of had you not been lead to think outside the box). Laura has prompted me time and time again to try all sorts of new and different concepts. I find myself coming back to Laura’s book year after year. It is so fun to look back on the journal entries and see how far I have come. If you get her book, make sure to take notes of where you are at in your process. I’m telling you it is so fun to have concrete reminders of how far you have come! I also find that while one idea didn’t resonate with me in the previous years, after some time it seems to have sprouted into a viable option. If you are a therapist working for yourself and are looking to build your practice, I highly recommend checking out this book! While some of her suggestions are a little dated, this book has something for therapists in all stages of your career. Just as it did for me, it is sure to jump-start your business as well!